In the UK, football pools are simply referred to as the pools. They refer to a betting pool where you bet based on the result of some of the top football matches that are taking part in the coming week. These pools are relatively cheap to join, and usually have very good potentials of rewarding the players with very good amounts of money. Initially, the entries were mostly submitted through the collectors’ agents or the post but with change in times, you can now participate in the football pools online through the UK football pools coupons. Traditionally, the football polls agents were strategically located from where they would collect the entries, where they were paid on a commission based on the number of tickets they sold. Some of the traditional and most popular forms of tickets that they sold include the “Treble Chance” which are popularly referred to as the “Classic Pools” now. In the classic pools, you will be required to pick 12, 11 or 10 football matches that will be played in the coming week. These games should finish as a draw, from which the teams should at least score two goals on the lower side to win the full or part amount of £3 million. Alternatively, you stand an opportunity of winning large cash prizes through different ways, and based on the number of points that you shall have scored. Some of the large and popular companies known for having some of the best UK football pools coupon include Zetters, Vernons, and Littlewoods. In 1923, Littlewoods become the first company to offer football pools, selling them just right outside the famous Manchester Old Trafford ground. Over the years, the company has been offering football coupons that allow you to place your bets on highly prized games like the Jackpot 12 or the Premier 10. 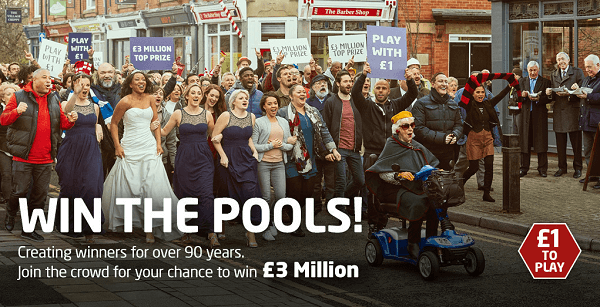 How to Play on the Football Pools? There are various ways that you can choose to play on the classic football pools. Your first choice can be on choosing 10 fixtures from the pools and predicting that eight of the matches will end as a draw. Usually, this will cost you £1. Secondly, you can choose 8 teams from 11 teams that have been pooled to end as a draw at a cost of £2.75. Lastly, you can choose 12 fixtures at a total cost of £7.5 to end as a draw. By selecting, you will have your fixtures marked. Note that having more teams highlighted in the slip increases your chances of winning MORE money, but increase your RISK of LOSING more money. Select the fixtures, which you think, will end as a draw. You can do this by clicking on the box that is next to your chosen fixture or you can also decide to play the Lucky Dip. Once you are done selecting, click on the OK button. If you wish to play fixtures that will feature more than one competition, you can just select the amount required from the drop down box that is located in the bottom left side of the screen. Once you are done making your prediction as well as picking your games, you can now click on Play now and wait for the results. Don’t forget that the higher the number of teams included in the slip, the higher the risk of losing your initial stake. Every week, any player who uses the football pools coupons and scores points exceeding 21 are eligible for a share prize of the total amount of money. If you made a selection of 8 matches that will end as a draw of 2-2 and it comes to happen, then you shall win the £2.5 Million jackpot. Since this completion is a football pool, it implies that the total amount of money won will be determined by the number of players who will be enrolled at the online and land-based football pools. If there is more than a single winner, the total prize of 2.5 Million shall be shared equally among the players. In case of a winner, the winnings shall be payed depending on the means of entry. This will be determined by the online football pools website that you sign up to. The winnings should be paid in less than seven days after the date of the last football match played. 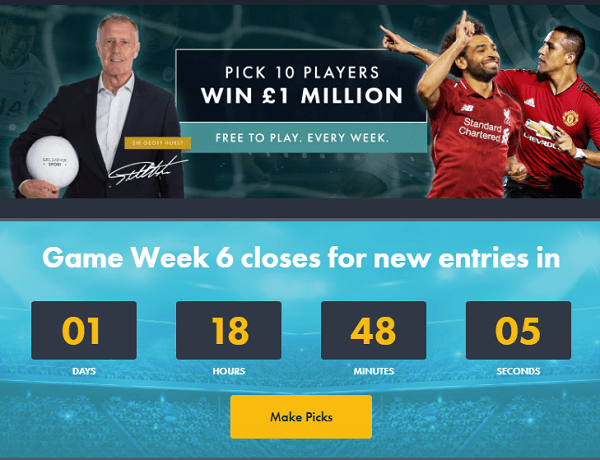 If you happen to have any concern or query pertaining the winnings, you should ensure that you ask the website six weeks from the day the particular match was played.